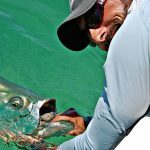 Considered by many to be the ultimate flats prize, permit are a combination of high octane speed and bulldog tenacity coupled with a hypersensitive disposition and an ability to disappear in front of your eyes. 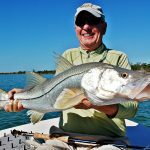 Fishing for Islamorada permit represents probably the greatest flats challenge and to catch one on fly an angling achievement. Islamorada permit average 12-20 lbs. but fish in the thirty-pound range are common with larger fish always a possibility. Deep bodied, thickly muscled and powered by a tuna-like tail, permit will fight all the way to the boat and take off on another blistering run just when you think you have them. Even when you get a hand around their tail they never stop kicking. 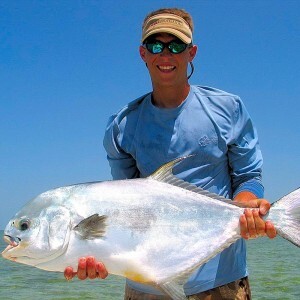 Permit of any size are a great catch and represent a pinnacle of the sport of angling.